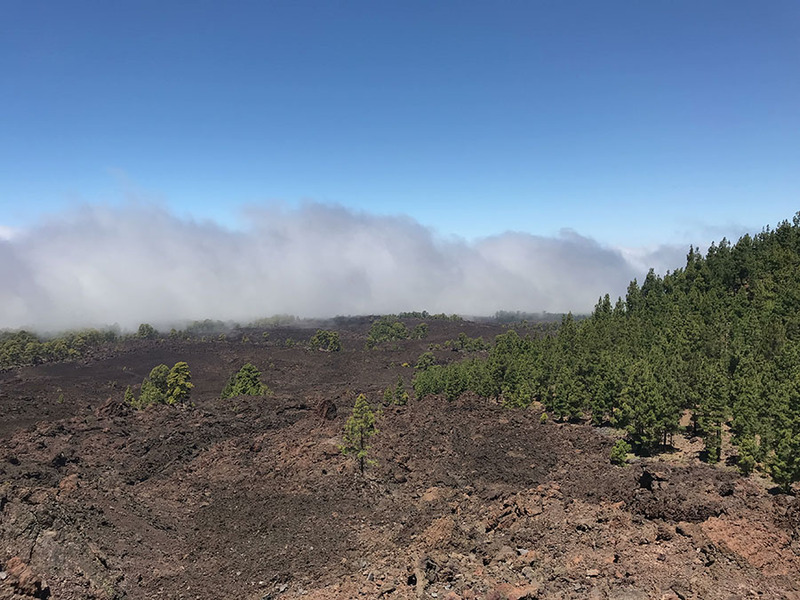 If you are looking for things to do in Tenerife, you should add visiting El Teide to your list. It was definitely one of the highlights of our holidays in Tenerife and one of the moments which I will remember for the rest of my life. El Teide is the 3718 meters high, the third tallest volcano in the world and it absolutely dominates the island. 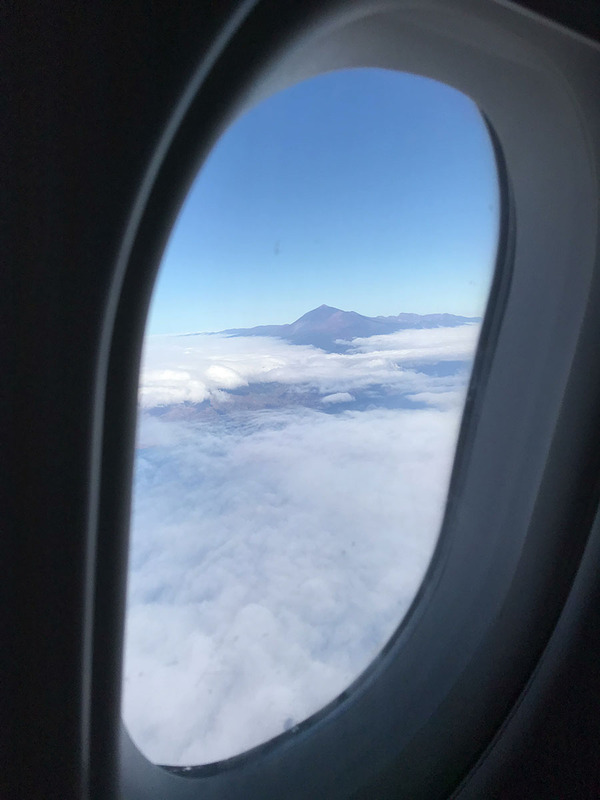 On your way to Tenerife, the size of El Teide is already visible from the airplane, and you get a glimpse of El Teide from everywhere around the island. We enjoyed the whole experience of visiting El Teide. From driving through the clouds, temperature changes, to some utterly stunning views. 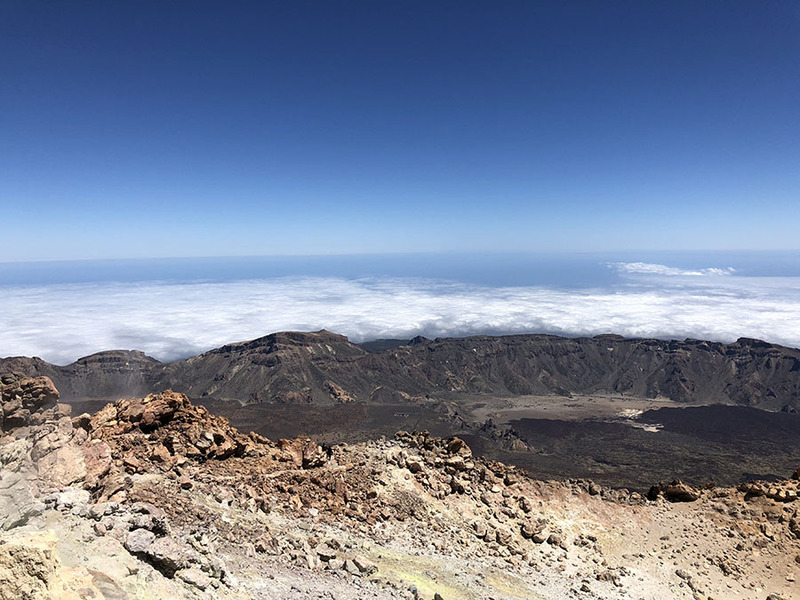 How to get to El Teide? I believe you can take the public transport bus (titsa.com) or book the half day or the whole day tour to El Teide. I always prefer to figure out things myself, and I rented a car for the whole time in Tenerife. In general, if you would like to travel around the Tenerife, renting the car is the best option. 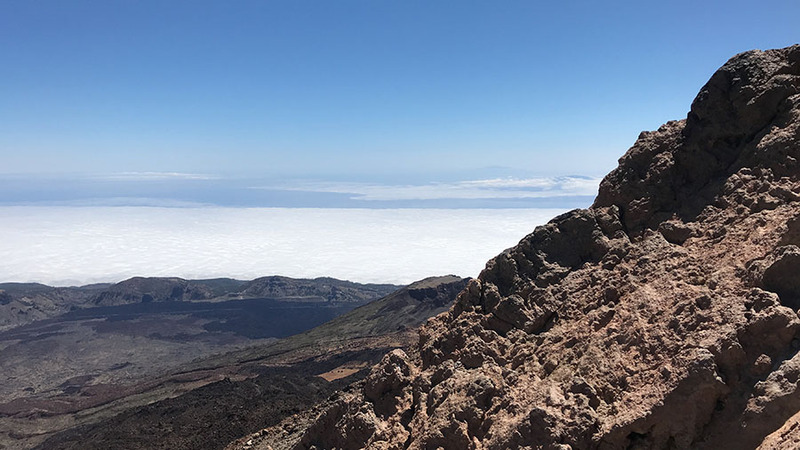 The infrastructure in Tenerife is excellent, and you can reach El Teide easily from all around the island. 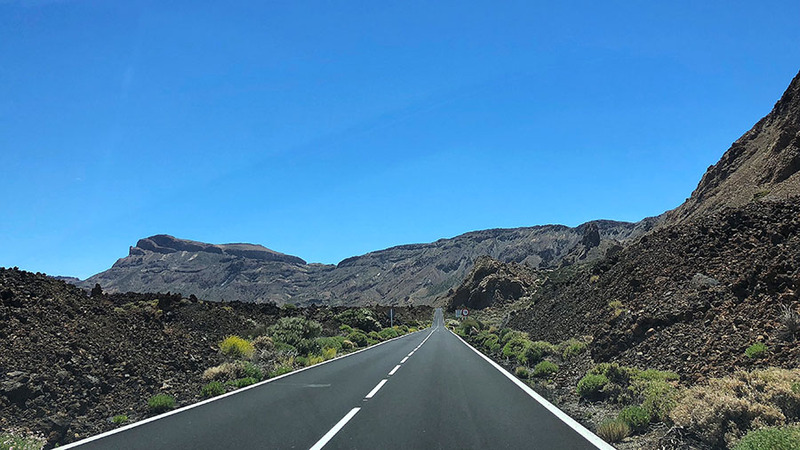 I actually even drove through Teide National Park when we were moving from the North to the South of Tenerife in the middle of our holidays. It's an exciting drive because nature is changing behind every turn and you experience some breathtaking views. On the day of the trip to El Teide, I drove from Costa Adeje. It takes around 1 hour, but plan for easily thirty minutes to one hour more as you will stop at multiple viewing points. There are two ways. You can hike which will take you 4+ hours based on your condition. I did this once when I was younger, and it was a great experience. 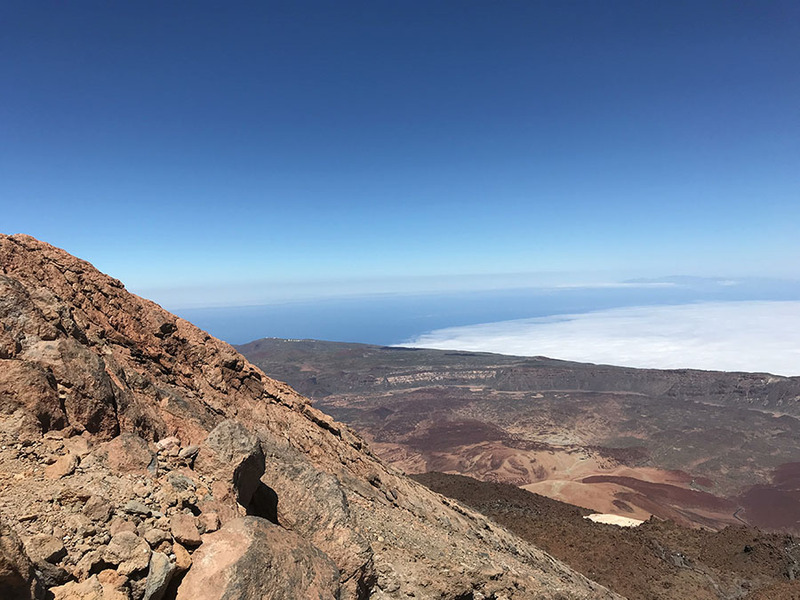 You can also spend the night at El Teide (volcanoteide.com) which automatically gives you a permit to access the peak of the mountain. Or you can use the cable car which is what we went for this time. I bought return tickets online for €27 (volcanoteide.com). 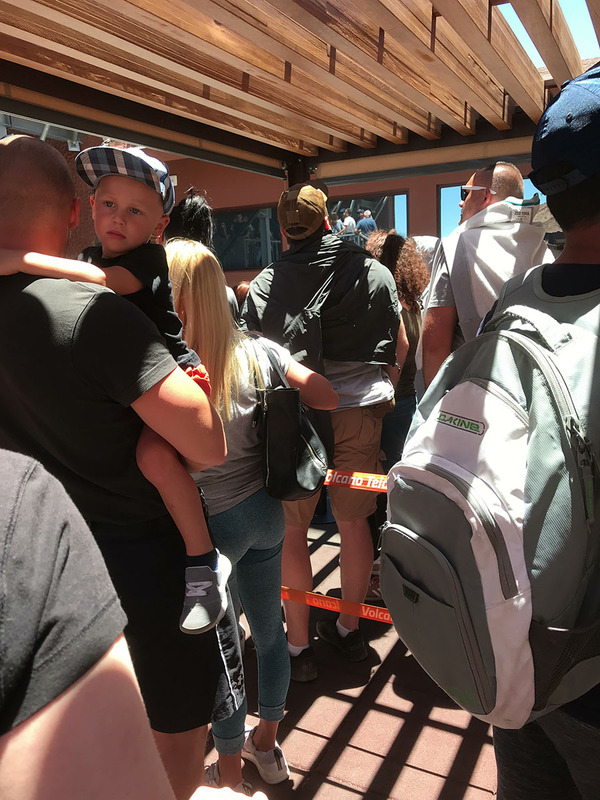 We came around 10 minutes before our cable car booking time, and we spend another 20-30 minutes waiting in the queue as the cable car is going up and down every 10 minutes. The website is not the most user-friendly, but I managed to get the permission without any problem. When applying for the permission, you need to provide your passport/ID card number. Then you need to bring this document with you to the upper cable car station where they will check your permit. If there are strong winds cable car may not work, and unfortunately, your permit will expire. It doesn't happen that often but it can happen. It's stunning! And very quiet. Which, notably, coming from London is a unique and almost unnatural experience. Make sure you have a jacket or hoodie. Even if it is 30 degrees at the base station, it's quite chilly and windy at the top. The last descent of the cable car is 4:50 pm (5:50 pm from July to September). We booked our cable car for 3:50 pm, and it took 30 minutes for us to board the cable car, so we felt a little bit under pressure to make it for the last descent. There we a lot of people waiting for the descent and the cable car was still running way after 4:50 pm. However, I wouldn't count on it, and to feel less pressure, instead make your booking earlier. 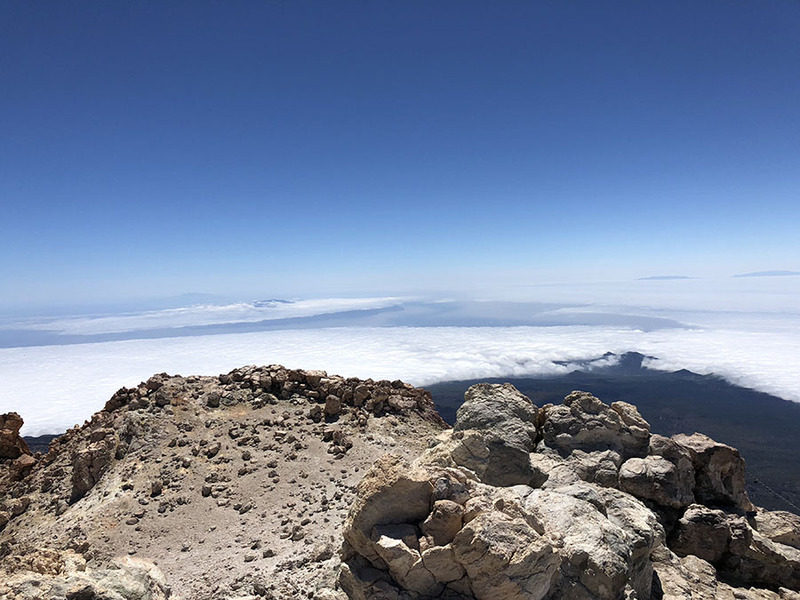 There is much more to see on your trip to the top of El Teide. I would definitely recommend planning this as a whole day trip. The Roque Cinchado is a unique rock formation. Tenerife is one of the three best spots in the world to observe the stars. Unfortunately, I couldn't find the time to do this during my stay in Tenerife. 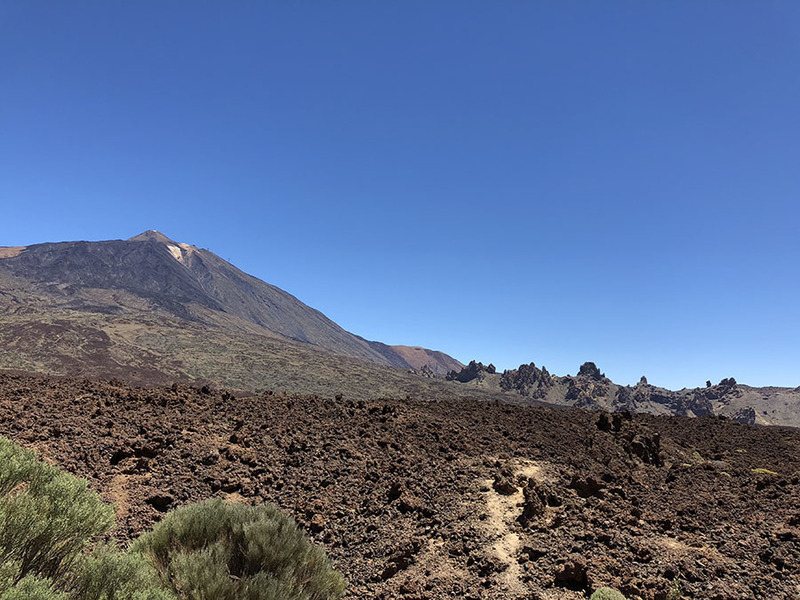 However, when we stayed in the North, we had a fantastic view of the night sky, and I believe that going to the Teide Natural Park during the night must be spectacular for observing stars. 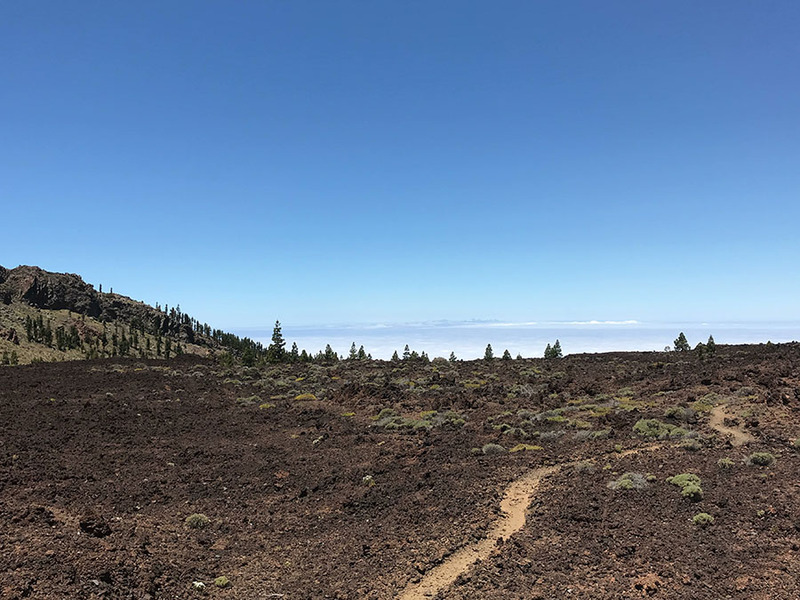 There are many hiking routes around Teide Natural Park, and they seem very well maintained and peaceful. On my next visit to Tenerife, I will definitely do some hiking. €27 for the cable car, per person. I also rented a car for the whole stay in Tenerife which cost me around €23 per day + gas which came to around €6 a day (I was driving somewhere almost every day). Parking is for free at El Teide. Clearly, if you are a couple or a family, then the price will change only for the cable car. You can make it cheaper by using the public bus. However, you are trading the more significant freedom for money. Do it. Rent a car. 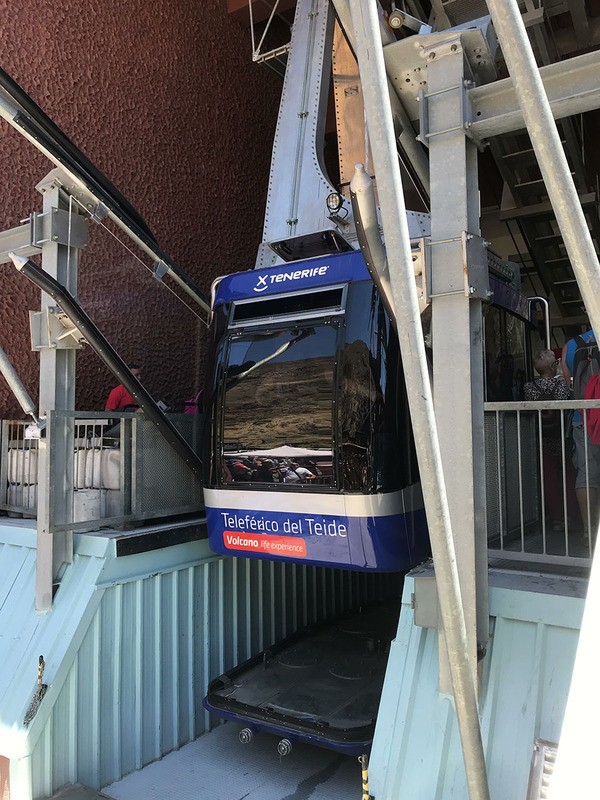 Prebook your cable car tickets and get the permission. It's a rare experience and totally worth it. 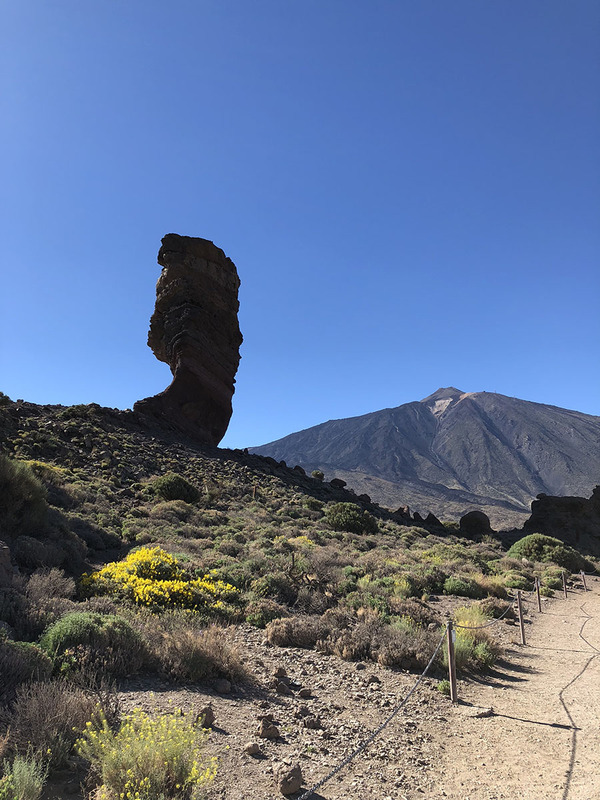 Just driving through the Teide Natural Park is an unforgettable adventure on its own. 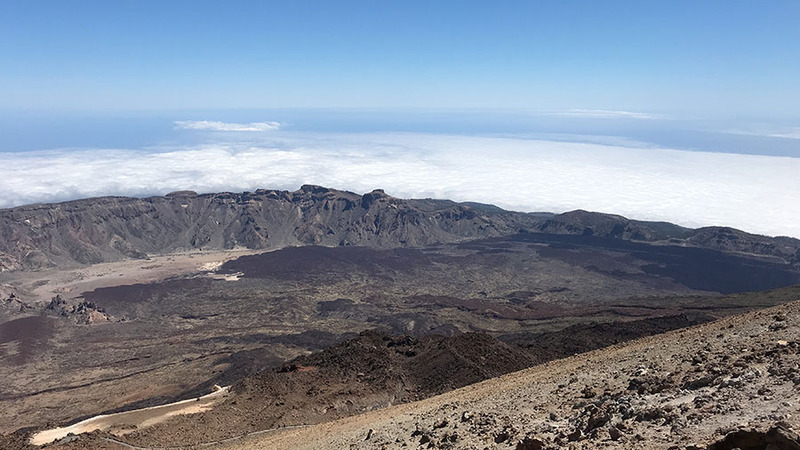 On my next visit to Tenerife, I will try to walk up to El Teide and possibly sleep over there rather than using the cable car. Not that there was anything wrong with the cable car. But after recollecting the whole experience I think, I will rather hike for 5 hours than spending 1 hour in the queue. The calmness, and beauty of the place, with such astonishing views, is better to experience that way than in the cable car. So, if you can, go for the hiking option, and you will definitely create some unforgettable memories.